Low Carb Pizza - Super Easy Recipe! I make low carb recipes all the time, including low carb pizza. My husband is a huge fan of Italian food, and I like it, too. I love pizza, for example, but it can be very high in carbohydrates, and in that case, it’s not very good for my diet or for my type 2 diabetes. When we order a pie at our local pizzeria, I eat only the toppings. I save the crust for the dogs, and they’re always happy to get it. They smell it as soon as we walk in the door, and they search us until they find the treats. While I enjoy the yummy cheese and toppings, it’s not quite the same as having them served up on a crust of some sort. Most all pizza toppings, including cheeses, are very low in carbs. 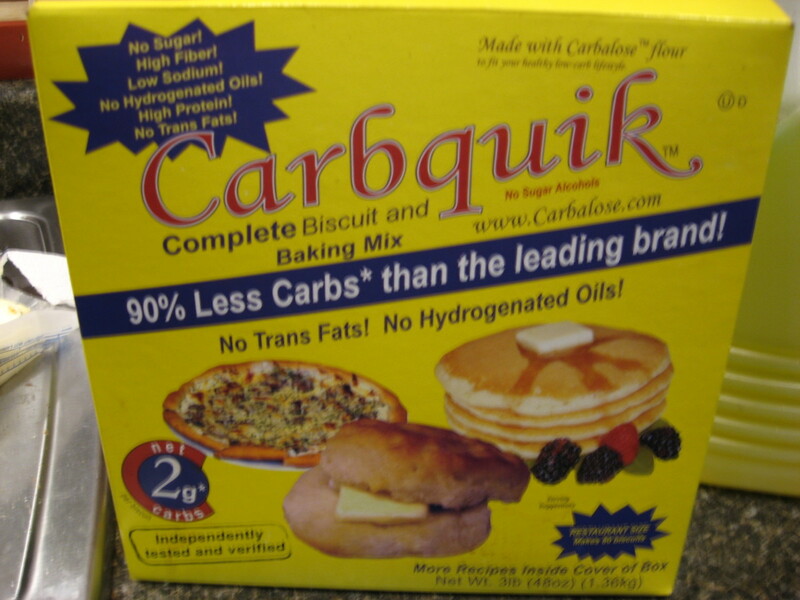 In fact, some don’t contain any carb grams at all. These low carb ingredients include cheeses, meats, olives, peppers, mushrooms, and more, and I often use these ingredients in numerous low carb recipes – not just for low carb pizza. One challenge here is to find low carb pizza crust. Low carb is a relative term. 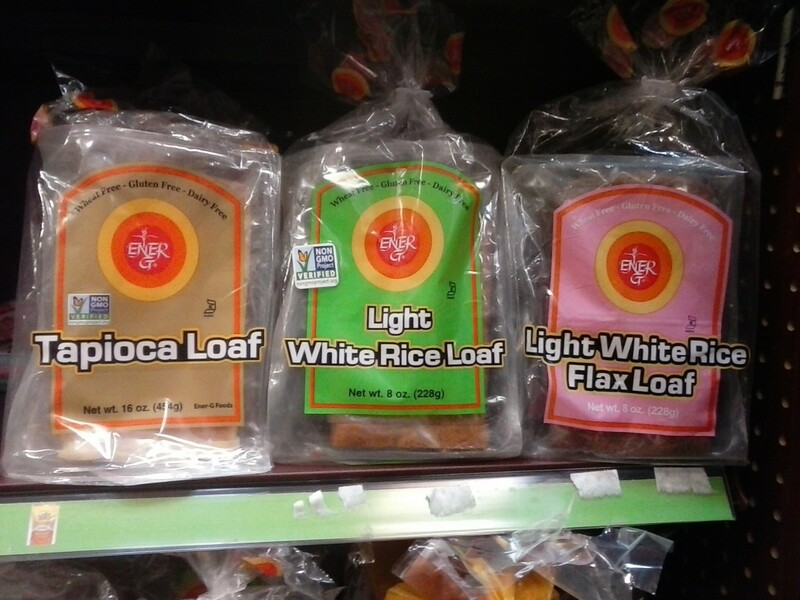 You can reduce the carb count some by using whole wheat crust, but I’m not sure I’d call that low carb. 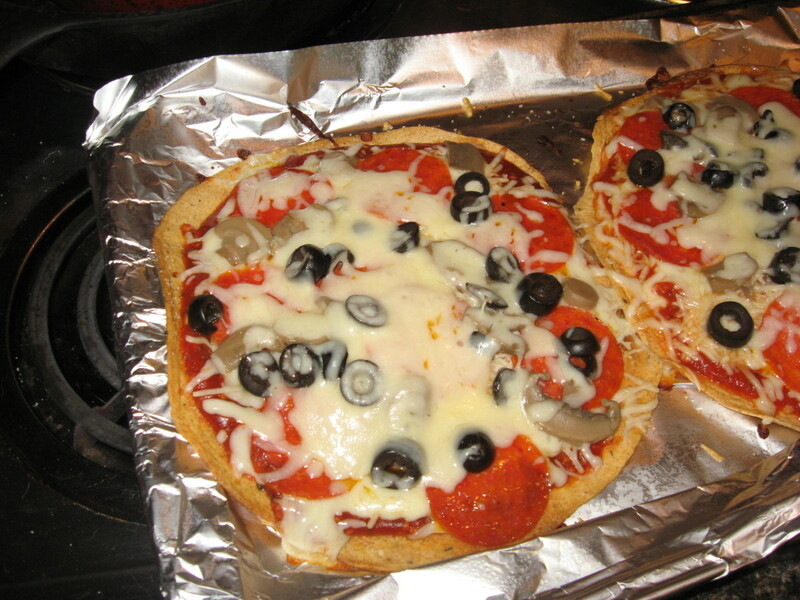 You might want to try making your own low carb pizza crust with a special baking mix, too. Atkins comes to mind. Guess what I use as an easy low carb pizza crust? Low carb tortillas! The tortillas I use are high in fiber and very low in carbs, with just four or five grams of net carbs each, depending on the specific brand. For even more flavor, try the tomato-basil or the onion flavor low carb tortillas! I’ve always preferred a thin and crispy pizza crust, so the tortillas are perfect for me. Another challenge is low carb pizza sauce. Regular pizza sauce, marinara sauce, and spaghetti sauce are all high in carbs and sugars, so you have to find a way around this. One choice is to buy low carb pizza sauce or marinara sauce. Walden Farms has one that’s pretty good, and it’s not only carb free, it’s also fat and calorie free. 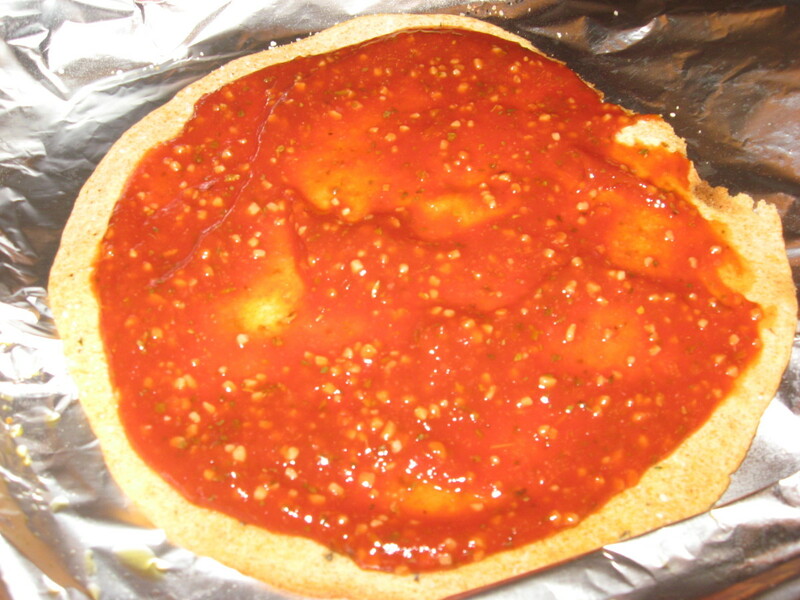 Another way to reduce the carb count in pizza sauce is to use plain tomato sauce, instead. You might also want to try crushed tomatoes, which are often lower in carbs than tomato sauce. By the way, when I use tomato sauce or crushed tomatoes as my low carb pizza sauce, I “doctor them up” with herbs, spices, and Splenda. 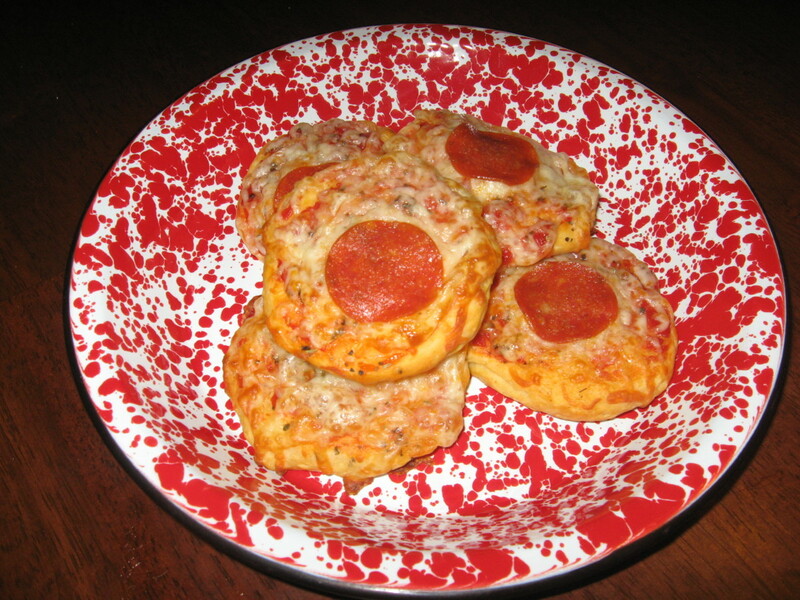 For this low carb pizza recipe, I don’t use any of the choices I’ve mentioned. I use low carb ketchup. Of course, I tweak it first, with pizza seasoning or Italian seasoning blend, Splenda, and garlic. Ready to make a pizza? 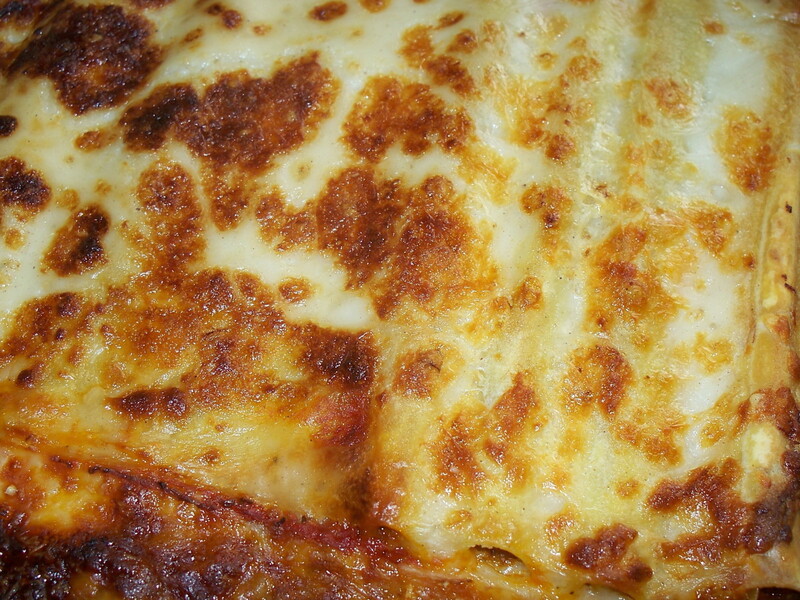 There are three basic ingredients that you must have – some type of crust, a sauce, and cheese. When I’m making regular pizza for hubby or the grandkids, I might use any of several types of crust, depending on how big a hurry I’m in. I’ve used homemade crust, refrigerated biscuit dough, refrigerated crescent rolls, French bread, Italian bread, and pre-made crusts. Usually, I like to brush the naked crust with olive oil and sprinkle it with just a little garlic salt or pizza seasoning before adding the sauce. I really like garlic. Next, I cover the crust with sauce – lots of it! I like sort of a sweet, garlicky sauce, so I usually add a tad of sugar or Splenda. If the sauce isn’t zesty enough, I might add some fresh or dried basil, along with minced garlic. Did I tell you that I really like garlic? Next comes the cheese, and I’m not stingy here! I actually prefer to use more than one type, usually a combination of mozzarella, parmesan, asiago, and Romano. I add my toppings on top of the cheese, and then I take an extra step that a lot of cooks don’t – I sprinkle on just a little more grated cheese to sort of “hold” the toppings on top of the pie. What are your favorite pizza toppings? It seems that everyone has his own favorites. 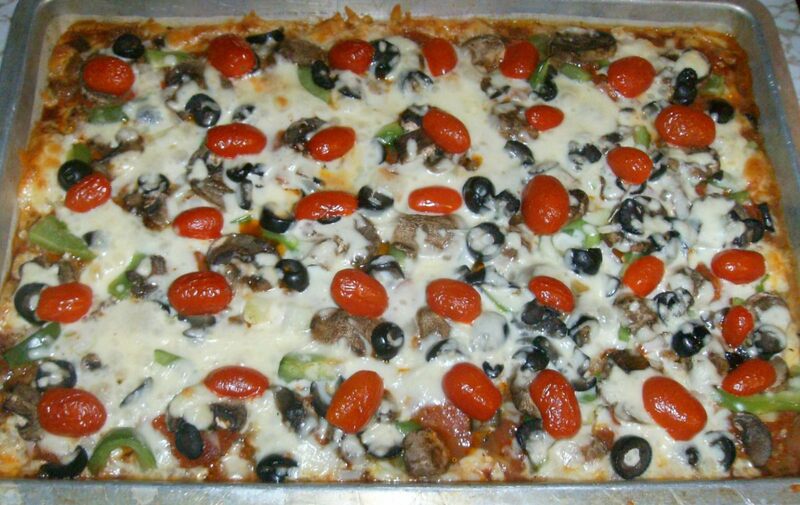 I like everything on my pizza but the kitchen sink…and anchovies. Other than that, I’m pretty open to suggestions. I’ve tried pulled pork, BBQ chicken, chopped roast beef, sliced sirloin steak, and venison. I like pineapple on my pies, too, as I think they make a nice taste combination with the salty, spicy meats like pepperoni. As for veggie toppings, I like just about everything, including artichokes, spinach, jalapeno peppers, sun-dried tomatoes, pesto, green onions, and all the tradional items. What about fruit pizzas and dessert pizzas? Oh, those are awesome - but that's an article for another day! Next time you’re in the mood to make a pizza, try something different! 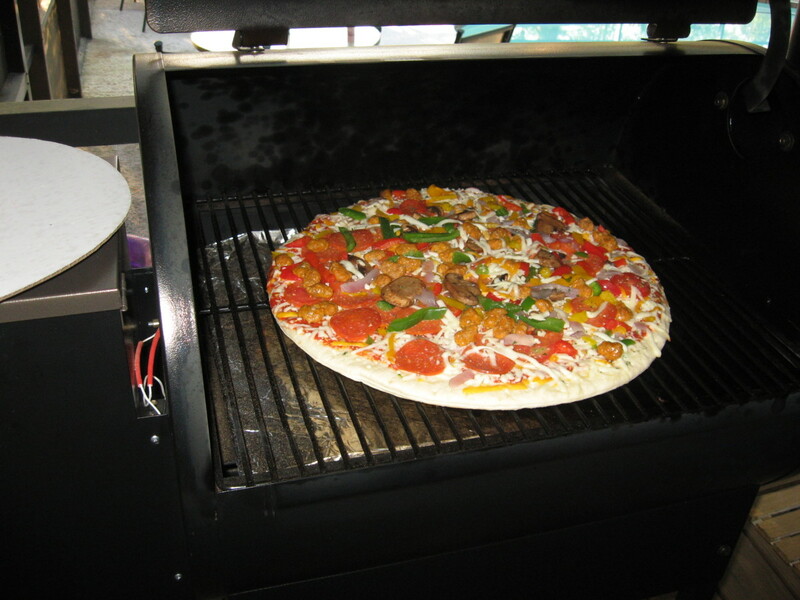 In the table below, you might get some pizza topping ideas you haven’t thought of. I also included the old favorites for beginners. This low carb pizza recipe is hearty and satisfying, and it’s super cheesy. Tonight, I used a basil-tomato Xtreme Wellness low carb tortilla, but I often use La Tortilla Factory tortillas. This makes a pretty big pizza for one person, and the crust provides only five net carb grams. 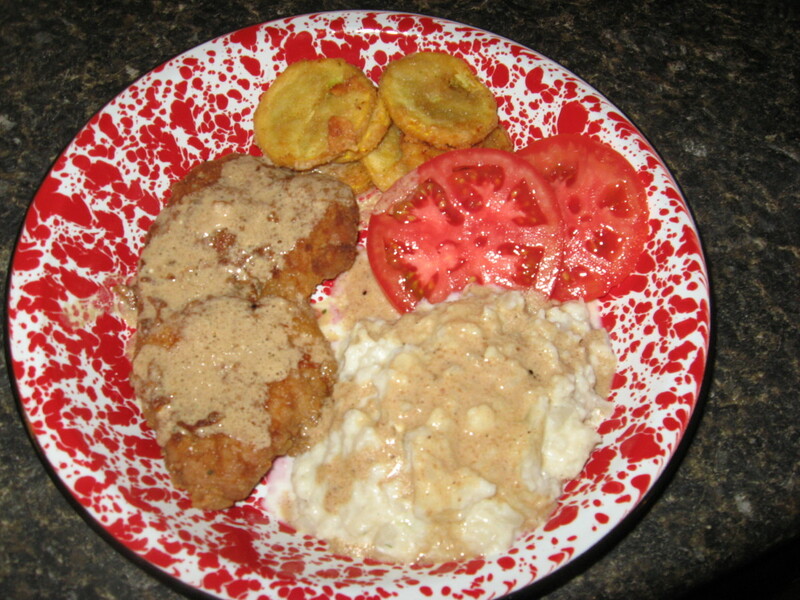 For the sauce, I used Heinz reduced sugar ketchup, which has just one carb gram per tablespoon. The black olives will add about one more carb gram, as will the mushrooms. That means the entire pizza has only nine carb grams. Rate my recipe - thanks! Preheat oven to 425 degrees. 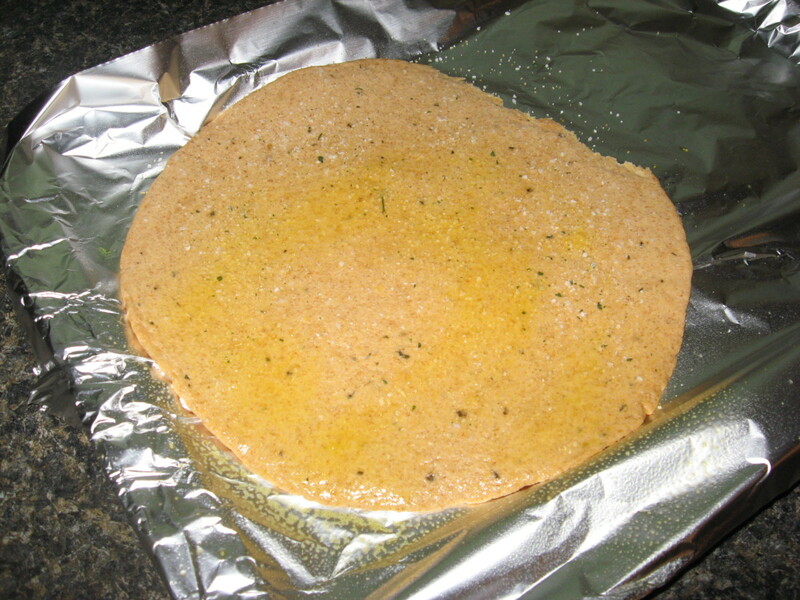 Place tortilla on a cookie sheet lined with foil. Spray tortilla with cooking spray and sprinkle lightly with garlic salt. Bake tortilla for about 5 minutes, until slightly crisp. Combine ketchup, water, Splenda, Italian seasoning blend, minced garlic, onion powder, and salt. Spread on tortilla. 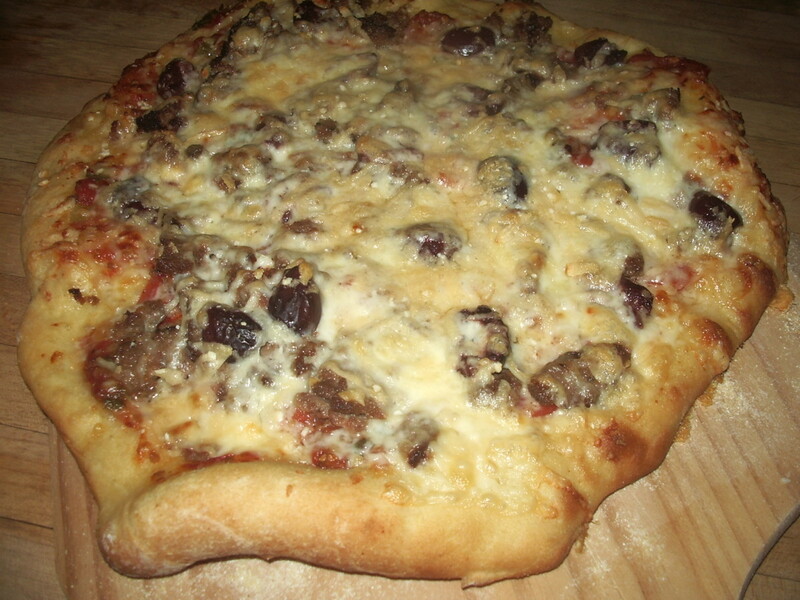 Top with Italian cheese blend. Add pepperoni, mushrooms, and black olives. Sprinkle with shredded parmesan. 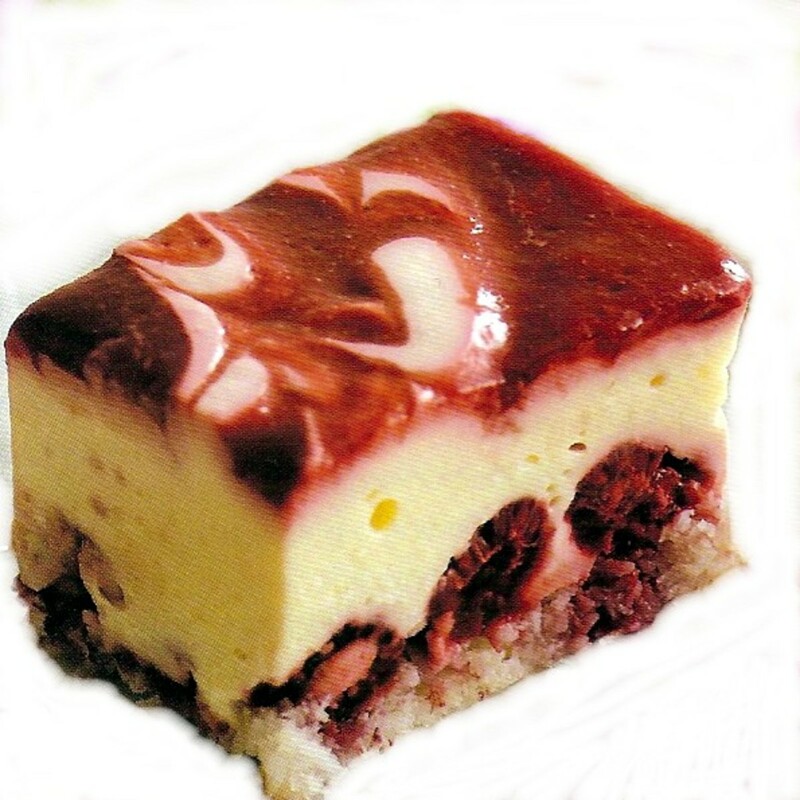 Return to oven and bake until cheese is melted and slightly brown around the edges. Such a great idea, I am a pizza fanatic so it says it all! lol! Of course... Why not? My hat off to you. ... and thanks. 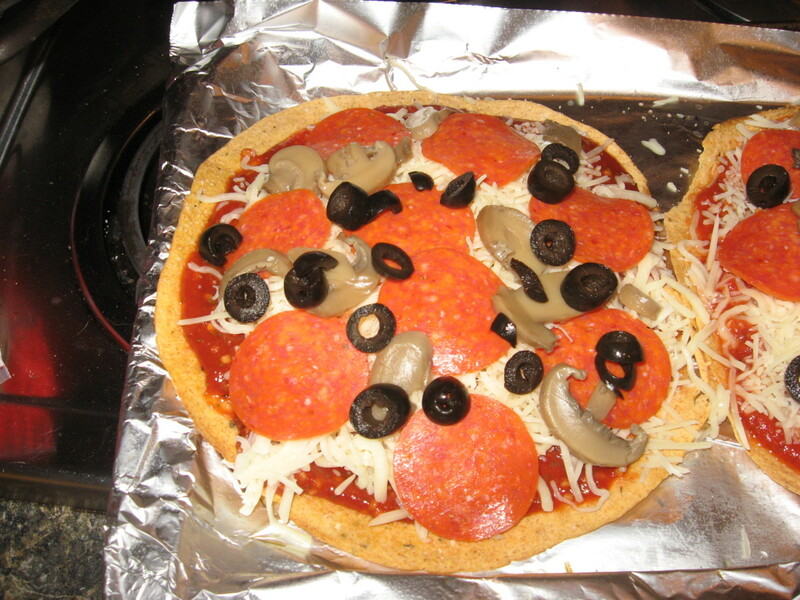 What a great idea, Holle, using low-carb tortillas to make a pizza. I like a thin crust, too, so this will be perfect. Thank you for the education. Who knew? Tortillas as pizza base is such a neat idea I that I want to try it - and I've never made a pizza in my life. Can't wait to see how it tastes. Yumm. 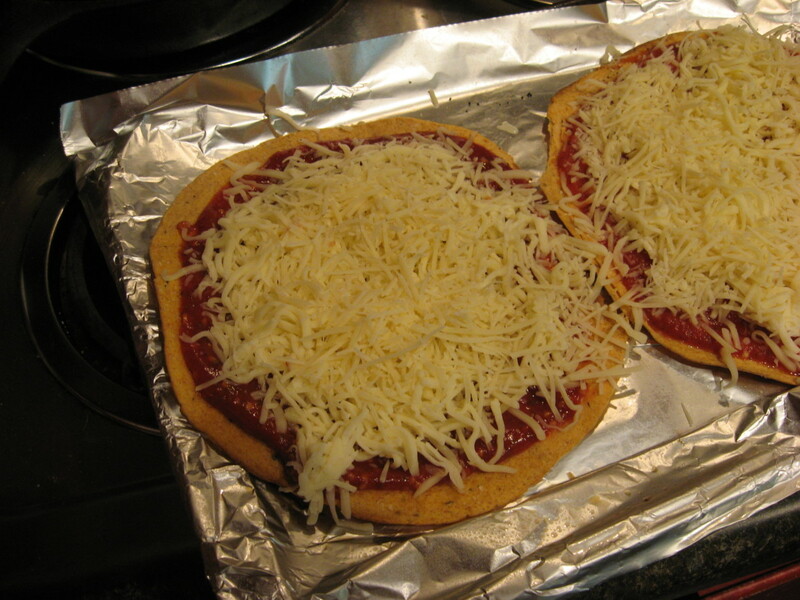 I have always loved tomato basil tortillas with cheese and just never made a pizza with them and I should have. Thank you for the directions to create a low carb pizza...always need to watch those calories! Me, too, Maria! That would be fun!